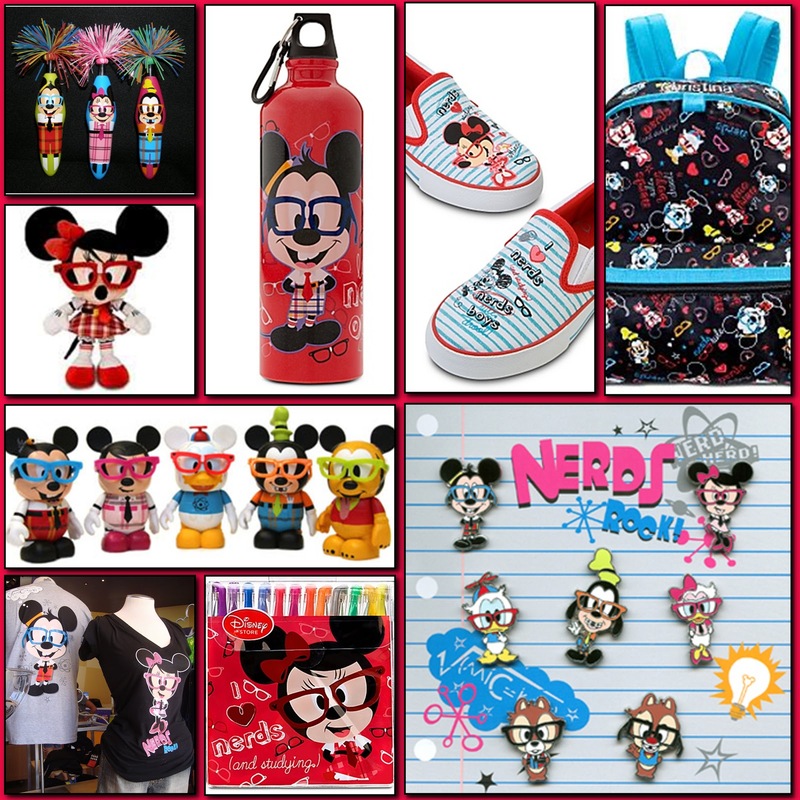 Disney Donna Kay: Disney Blog Hop - I LOVE Nerds!! Disney Blog Hop - I LOVE Nerds!! Happy Disney Blog Hop Day!! I hope you're enjoying the hop this week, it hosted by the fabulous Lisa of Babes in Disneyland. The theme this week is "Back to School" and I pondered just what I should do... Then it hit me, no one was more of a nerd than me when I was in school, right down to the thick glasses. I had discovered the Disney Nerds when I was shopping for my WDW trip in July. I have to tell you, I LOVE them!! They are the cutest things ever!! There's all kinds of merchandise from backpacks to pens!! I love the Vinylmation, they would look so cute in the window of my office. A tshirt may just have to be under the tree at Christmastime too!! Everything pictured here can be bought at the Disney Store. Just remember, Nerds ROCK!! I've only recently noticed the nerd stuff...and I'm warming up to it slowly. I'm a nerd too, so it's inevitable...I will love them eventually. Hi Lisa!! That's such a compliment, especially coming from you!! I think I might have to plan a Disney Nerds party!